Dainty – approx 1.5 cm across and 0.75 cm down. Large – approx 2.5cm across and 1.2cm down. Both sizes come with a quality 14ct gold 18 inch chain. 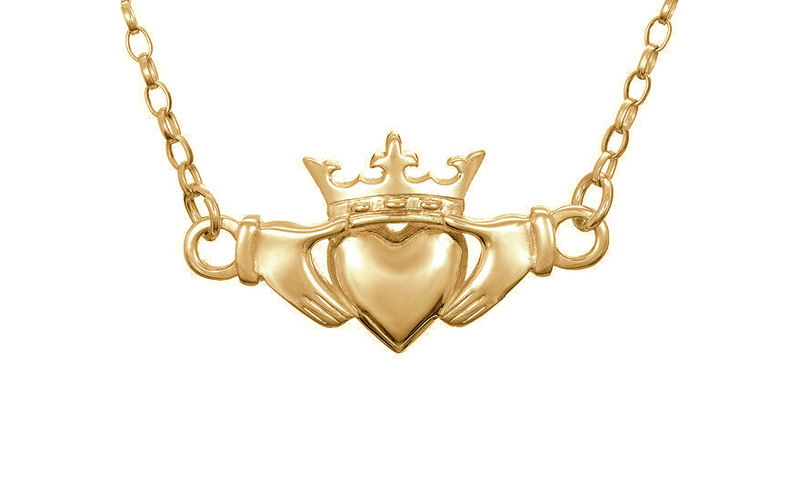 Each piece from the Claddagh range is meticulously crafted with love for Irish roots, history and heritage and is hallmarked in the Assay Office at Dublin Castle. A story card explaining the meaning behind the design accompanies each piece.